Simply make your PAB Coach Tour booking and we will take 5% off the brochure price for booking early and we are adding more tours every day. This great early booking offer wont be around for ever so dont delay - book your holiday today!! 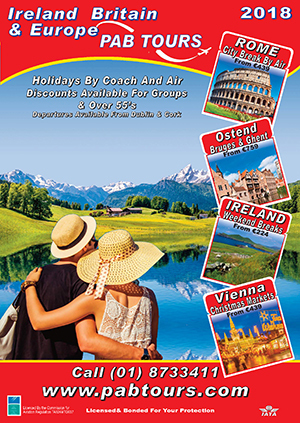 Offer based on brochure price of selected coach tours and excludes any optional extras such as insurance, premiere seats, club lounge upgrades, tour connections etc. Offer cannot be used in conjunction with any other discount or voucher. Gift vochuers and holidays by air are currently not included in the offer.